Find a beginner or all-levels class. 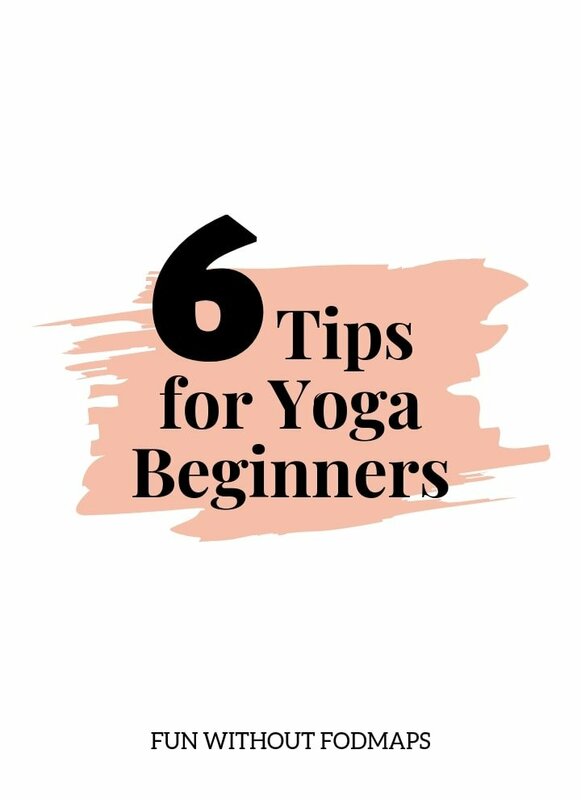 These classes are usually geared toward yoga newbies or, at the very least, should be able to provide pose modifications for those just starting out. Try connecting with the instructor before class to let them know you’re new to yoga and/or if you have any injuries. This can help remind them to provide extra cues in their class to help guide your new practice. Give it three (or more) classes. It can take several classes (or more) to get comfortable with yoga poses, terminology, and even the studio, itself. You may feel frustrated at first. It’s normal! You’re learning a new skill after all. The longer you give yoga a chance, the more comfortable you get, the more layers you can add (breath, flow, adjustments, etc. ), and the more benefits you will likely see from your practice. Avoid judgment and release expectations. Yoga is not meant to be competitive, but we can often find ourselves feeling frustrated or intimidated by the other “more advanced” yogis in our classes. Trust that yoga is much more about the journey than it is about the destination. Your yoga practice is a time for you to connect with yourself on your mat. Try to release the need to judge or set expectations for your practice. If these feelings do start to come about (they probably will – it’s natural), I invite you to gently remind yourself that you are exactly where you need to be at this moment in time. Listen to your body and ask if something doesn’t feel right. Poses can be challenging at times and may bring about a bit of discomfort, but they should never cause sharp or shooting pains. If this happens, I invite you to take a step back, make the pose less intense and connect with your instructor after class. A knowledgeable yoga teacher should be able to provide modifications to make a pose more accessible and comfortable for your body. Also, if you need a break, please take one. Quietly grab a drink or hang out in a restorative pose, like child’s pose, until you’re ready to join back in. Try multiple classes and find YOUR flavor of yoga. If available, try taking several different classes with different teachers in different styles of yoga. Each teacher brings a unique perspective and will offer a slightly different flavor of yoga. You may find that you connect with one style, teacher, or class more so than others. With that said, once you find your preferred “flavor” and advance in your practice, try to mix things up every once in a while and take a new class. You’re bound to learn something new. Connecting with our breath is a large part of yoga and arguably more important than the asana (poses) itself. Because of this, instructors will often provide cues to help connect our breath with our movement. A common misconception, especially with beginners, is that we have to breathe exactly when our teacher says so. Breath is important, but it’s also just another layer of yoga. When starting out, I invite you to first work on getting comfortable with the poses and just remembering to breathe. If you’re exhaling when your teacher says inhale, who cares? No worries! As you get more comfortable, you can add on and start to connect your breath with your movement. On a final, similar note, sometimes during our practice, we may feel overwhelmed, intimidated, or even lost. Whatever you’re feeling, wherever you are, know that you can always come back to simply focusing on your breath. Inhale deeply. Exhale completely. Do this and you’re practicing yoga.